In doing the practice method of Baguazhang, one must be continuously connected everywhere. There is no posture that does not combine the principles of stillness and movement. There is One yin and one yang; one movement and one stillness. There are left and right practice methods. They employ changing the form. The feet must fall levelly. The inside foot goes straight. The outside foot hooks. When first practicing, the distance between the steps must be small. They must be equal. Look at the rabbit. Its body has the bad practices of suddenly rising and suddenly falling. The hook step and the swing step must be pure. Do not get a twisted step. The body, waist, legs and knees, each part, must expand and contract and follow together. When you begin to practice, go slowly. After a while the dantian fills with qi. When it becomes natural, then you can go faster. Therefore, it is an internal skill. The first emphasis is on the qi. 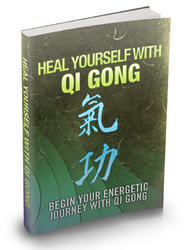 When the qi is flowing circularly, then the body's one hundred veins unfold liberally. The hands and feet will be agile. About the method to circulate the qi: Be careful how you practice of it. It is a gradual process. Breathe through the nose. It is important to avoid using the mouth. Importance is paid to the leg method in the martial arts. Therefore have the hands strike 30% and the feet strike 70%. The victorious man is completely in his feet. One needs to know the energies of light and turbid. Observe that it is proper to be fast, and not proper to be slow. 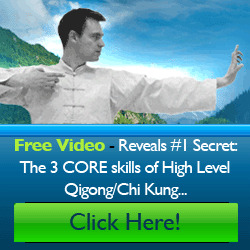 Baguazhang has the three skills of the upper, middle and lower basins. First practice using the upper basin, walking a large circle. When you get good, then practice the middle basin. After several years you may practice the lower basin skill. Combine it with walking, piercing, twisting, overturning, spinning turning, and changing. It will then be different from all the others.